There's a lot of grumbling as the annual Consumer Electronics Show gets started this weekend that the city's hotels and dining have become much to expensive. While this piece from Richard Velotta of In Business Las Vegas seems to indicate that nobody is ready to pull the trigger and this all may be a ploy to renegotiate room rates with major resort companies, the fact is it also represents a very serious concern. OK, so it looks like the dealers' union is filing a petition to get the Legislature to take up the tip-sharing issue in its 2009 session (since our Legislature only meets every other year.) Since that's unlikely and lawmakers are likely to refuse, that would then allow them to put something the ballot in 2010. Read about it in the R-J here. Don't Be Sad: Xmas Isn't Really Over Yet! My partner is blue because he's got to either take down the Xmas decor this weekend or, at the very least, stop illuminating it. And I'm sure he's not the only one. 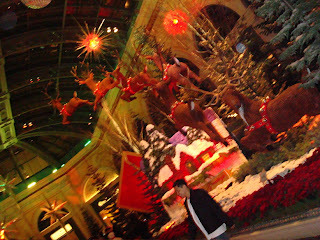 So I wanted to offer one last hurrah of holiday cheer in the form of some pix I shot while at Bellagio this evening of the Conservatory, still in its seasonal glory. Enjoy! Now get over it and take on 2008! 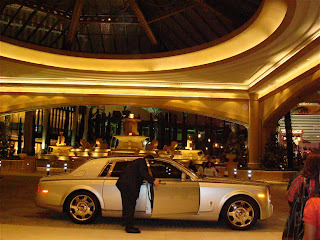 It's very funny to go back now and listen to my chat with Steve Wynn in Macau in August 2006 and hear him talking about what a surprise it has been that his fiat to redistribute the tips of his casino dealers had occurred with very little to-do. He really said that. And now it's January 2008 and his and Caesars dealers have both unionized in response and the R-J reported the other day on a related labor complaint that makes Wynn sound arrogant and out of touch. But proof that this is going to go on and on comes from uberpundit Jon Ralston, who broke news just now on his e-mail Flash that the International Union of Gaming Employees filed an initiative for a state ballot question aimed at prohibiting forced tip-sharing. That's right; the voters of Nevada may have to weigh in on this thing. I wonder how sympathetic the public will be to the best-paid tip-workers in the nation. I'll update if Jon updates. His initial notification promised more details later and, I'm sure, the R-J and the AP will have more complete reports later or tomorrow. The Las Vegas Sun featured an excellent front-page piece today by Liz Benston on a lawsuit by 40 owners of MGM Mirage's Signature condo-hotel units complaining that their rental incomes aren't coming close to covering the huge monthly mortgage payments and condo fees. It's a fascinating situation because as my dad and I grumble over paying the mortgage each month on our Panorama Towers unit with little evidence that we're close to selling it, we keep looking with envy at these other business models -- Signature, Trump, Cosmopolitan and many of the CityCenter options -- and thinking that at least those people stand a chance to defray their costs while waiting for the miserable real estate climate to recover. It did seem like a good plan, except that folks in Benston's piece remind us that the casino's motives for filling hotel rooms can be quite different than a landlord or hotelier's. 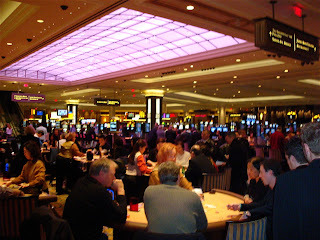 That is, the hotel will rent the rooms for below cost -- sometimes at $99 a night -- just to get the warm bodies into the building to spend money on the other casino amenities. Oh, and MGM Mirage gets about half the revenue from the rental, too. The lawsuit, I suspect, has little merit. The contracts for all of these things are loaded with disclaimers and the MGM Mirage one, evidently, is no exception. Heck, Panorama Towers was a full year late in delivering our unit and then failed to fix the damaged things we spotted on our walk-thru for longer after our closing than they had promised. And yet there's no murmurs about suing, even though had we gotten our unit on time in the summer of 2006 when real estate was still a strong market, we probably would've done decently. One of the odd bits in this piece are the owners who complain they were tricked when a salesman claimed that "the value of their units would likely increase as future towers were built and sold." That claim would seem to run contrary to common sense, no? More, newer units would leave older units in the dust, wouldn't they? for similar units over at CityCenter. It would seem that soft demand for condo-hotel over there could create a serious cash-flow issue for MGM Mirage. And, even worse, how would this impact the planned second Trump tower? 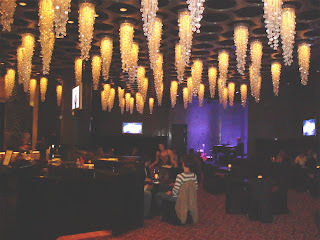 Incidentally, two loyal readers/listeners, Rob and Suzie from Florida, chatted on "The Strip" on the Dec. 27 episode about their stay at the Signature, rating it better than their experiences at Wynn and Bellagio. It's worth a listen, and their part begins just past the 1-hour mark in the show. As a tourist experience, if not an ownership experience, they really loved it. The Strip is LIVE tonight @ 7:05 pm PT! It's that time of week again -- and that time of year. Our big year-end spectacular based on the outcome of the past month's polling of the top moments of 2007 on our humble podcast. And lest you think you've heard it all already, we're including THE riotous outtake that started Miles off on his Neil Sedaka routine. You won't want to miss that. Join us in the chatroom at LVRocks.Com from 7-8 pm PT tonight (Wednesday). Don't worry, we'll be done before Project Runway fans. And East Coasters, PR is on again at 11 pm anyhow! Or be that way and catch the podcast when it's posted on Thursday. 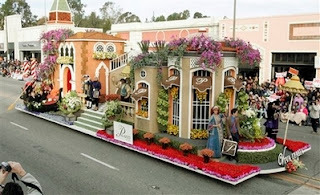 Here's a pic, courtesy of the Associated Press, of the Palazzo's entry into the Rose Bowl Parade. One loyal reader/listener, Troy, thinks it's horrible. It looks neat to me, but it really is hard to tell from just one photo. Also, is this the first Vegas resort to have a float in the parade? Wynn: "I'm The Most Powerful Man In Nevada"
There's an excellent piece in today's Review-Journal by Benjamin Spillman about the dealers' complaint against Steve Wynn following his decision in 2006 to redistribute tips, leading to the dealers' unionizing at Wynn as well as at Caesars Palace. But the part that fascinated me most was a line in the labor complaint that claims Wynn told a group of 15 angry dealers, "I am the most powerful man in Nevada. ... If you guys have a problem with the way I am handling things, you can leave." Oh, and according to the story, he also showed up at the meeting wearing plastic fangs to amuse the others. Didn't work. But the statement there is interesting and begs the question: Is it true? Or are there more powerful people in Nevada? You know, like maybe Harry Reid, the nation's top Democrat? Or the Clark County Commission, which has the power to approve or reject any development is wishes? 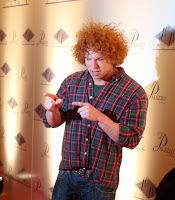 Or, in Michael Politz' estimation, perhaps Carrot Top? And what IS power, anyhow? Hmmm... This is starting to sound like a good column for the Weekly. 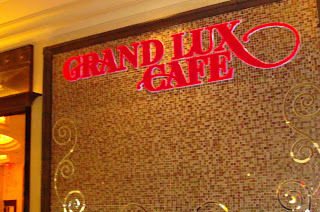 Rather than go to the Strip and work from the Caesars Palace perch where KVBC's main anchors stand and where Miles and I ushered in 05, 06 and 07, this time out we stayed home and comforted our dogs as idiot neighbors set off firecrackers in the streets. Miles brought in Chinese food, we spent the witching hour watching the video of the most important event of 2007 to us, our wedding, pausing to see the big fireworks display on the TV. Oh, and I made doughnuts. Huh? I had been online chatting with my niece, Courtney, in Arizona earlier in the evening and she said she was making them. So I thought, "That could be fun." I've been becoming more and more ambitious in the kitchen -- made an amazing pumpkin cheesecake from scratch for Xmas using a real pumpkin that I puree'd myself and a crust with ground pumpkin seeds! -- so this is what we did. And here's the results! Yum! The ones to the left are the ugly huge ones. The ones to the right are the good ones. I glazed them and sprinkled powdered sugar and sent most of them to work with Miles today. Yes, he had to work today. The (news) shows must go on! So we were in bed by 1. Sift together sugar, baking powder, cinnamon, nutmeg, salt, and flour. Beat eggs thoroughly, then stir into dry ingredients. Add the milk and melted butter. Roll about 1/2 inch thick on a floured board and cut with a doughnut cutter. Fry several at a time in 375 degrees F fat until nicely browned. Glaze: Boil 1 cup water, add half cup of powdered sugar at a time until it thickens. Paint on hot donuts, let dry and it should look clear. Make sure the glaze is thick enough before putting on doughnuts, or else you will make the donuts soggy. The 40/40 Club is a new sports-themed nightclub with "an eclectic menu" that includes fried deviled eggs and southern-fried chicken sticks owned by hip-hop mogul Jay-Z, boyfriend of Beyonce. 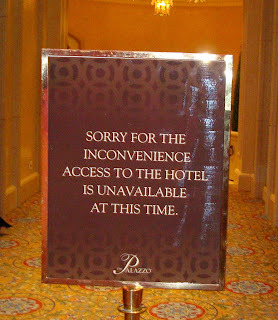 I did not have the stamina to stick around until they arrived, probably at about 2 a.m. I did get a bunch of fun pix, though. The first recognizable star I saw was, uh, the Rev. 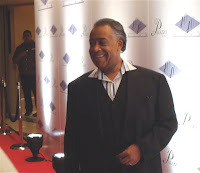 Al Sharpton. It surprised others, but this was the third time I've seen Rev. 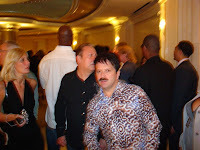 Al on the Vegas scene -- he was in the audience of a Gladys Knight concert a few years ago. I don't remember the other time but it was, as this, a black-related event. We were getting sort of restless, having been assembled 8 p.m. along this area and having nobody of note show up for more than three hours. I was particularly fascinated by the Nicole Richie-lookalike in the blue dress and sprocket-silver boots from the local Fox affiliate in the middle shot. I'm always fascinated by "journalists" who hug and kiss all the stars and fancy themselves one of them. 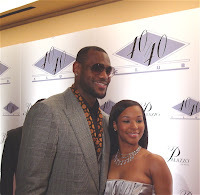 I did get a very nice shot of one of Miles' reporters at KVBC, Hetty Chang, chatting up LeBron, who is 6-8. The disparity reminded me of my 2001 snapshot with Yao Ming in a Changchun, China hotel room. See it here. God, wasn't I young and my hair so short! Evidently, I wasn't the only one who gave up; Richard Abowitz of the L.A. Times blog the Moveable Buffet checked out even sooner than I did. He will be live-blogging New Year's Eve tonight from the Strip, for those of you who feels sad you're not there. Read it all here. I have not seen yet whether Jay-Z and Beyonce made it or, if they did, whether they made the wait worth anything to the print reporters who waited. 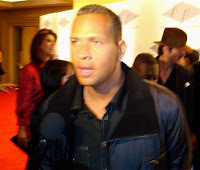 Others who were on the "tip sheet," a press release advertising who would walk the carpet, included Gwyneth Paltrow, Michael Jackson and Barry Bonds. Dunno if they were there, but I gave up when I realized while chatting with LeBron that my questions were too deep for this setting anyhow. Oh well. But before I finish this, though, I wanted to mention that there was this huge hoard of people being escorted into the club, mostly very pretty women. I asked one how she got her invite and she mentioned, elusively, that she was from some "agency." Hmmm. Many readers and listeners have inquired about how my uncle, Richard Goldman, is after my lengthy vigil with him and my aunt, Susan, at the hospital in New York earlier this month. Richard has struggled with pancreatic cancer since summer of 2006, a rather long survival period. Anyhow, I figured I'd post this email from my Aunt Robin, Susan's sister and Richard's sister-in-law, informing the family of the situation. My parents are Neil and Joan, my uncle's brother and nephew are Larry and Morgan, my uncle's daughter (my cousin) is Heather. On Dec. 6, Richard was rushed to New York Presbyterian Hospital because the biliary stents were not working and his body was purging bile. Over the previous few days, he had been experiencing increasingly tremendous pain that wasn't really being addressed adequately at home. He was also having difficulty tolerating the hyperalimentation. When admitted, it was found that Richard had an infection, probably related to the hyperalimentation and, initially, his vitals were all over the chart. We did not anticipate that he would last more than a few hours, perhaps days. I had been in Albany but came down and met them at the Emergency Room (with a short stop for a speeding ticket...) Since it was the weekend that Susan and Richard traditionally host a Hanukkah party, Neil and Joan were in New York and Steven decided to surprise everyone with a wonderful Hanukkah gift of being with us for the party; what was anticipated as being an overnight day visit, resulted quite a bit longer visit. Richard's brother, Larry, flew back from Costa Rica on Friday evening, and both he and Morgan camped out with us at the hospital. As seems to be the Friess family way, we all gathered to support Susan and Richard during those very difficult first days. The room was large enough to accommodate a cot so Susan was able to stay over at night, and we made sure that she had someone with her from morning to bedtime. Neil and Joan extended their visit for a few days but, with a new business to run, had to return to Florida. Richard's condition deteriorated day by day, with his morphine level being adjusted higher and higher to combat the excruciating pain. Both Shoshana, Susan and Richard's rabbi, and Rabbi Shem-Tov, Heather's rabbi, visited and provided him and Susan with much needed succor. When articulate, Richard very clearly declared his wish that there not be any extraordinary care, no tests, no machines, no nutrition. He was very calm and determined, and wanted everyone around him to understand that he was at peace. After 10 days of decline, suddenly, late on Monday, December 17, Richard became very much awake and aware. He asked for some apple pie. Over the next week, his condition seemed improved. His blood pressure, pulse and oxygen level was strong and his pain was being contained. He developed a great appreciation for the smell and taste of Pepsi, enjoying mouthfuls of it as if it were the finest wine. He would have a teaspoon of Jell-O occasionally. He was very conversational and very upbeat. However, he did not change his wish regarding extending his life. Susan engaged the services of a night nurse and was able to go home to sleep. This phase lasted for about a week. Over the past week, he has become weaker. An MRI on Thursday showed lesions on Richard's liver. The oncologist, Dr. Sherman, suggested that Susan and Richard speak with a surgeon about the possibility of having a feeding tube inserted directly into his intestines (since his stomach was not processing food) and even hinted that if that were possible, Richard might be able to go home. Initially, Richard seemed interested in hearing more about this but unfortunately, the surgeon did not feel that inserting the tube would be a good idea. He said that given Richard's condition an hour long procedure would be very trying to his system, that this method of providing nutrition has a very high incidence for infection and that given the liver lesions, it was not advised. He reiterated what the palliative nurse had said a week earlier that when 'shutting down,' the human body naturally compensates by producing endorphins so that people in Richard's condition do not feel hungry. We were assured that by not providing nutrition, we were not causing any suffering. In fact, he said, if the tube was inserted, it would be more for those around Richard than for Richard's sake. It would not improve his comfort level. On the same day, Susan was notified that a bed had become available at a hospice that is just a few blocks from their home in Riverdale and we are hopeful that Richard will be moving there later today. Richard remains emphatic about his wishes for his care and the hospice would seem to be the best way to respect those wishes. 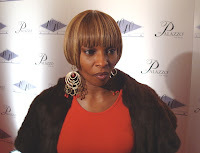 OK, it's really late so I'll post my pix from the red carpet of the opening of Jay-Z's 40/40 Club tomorrow. 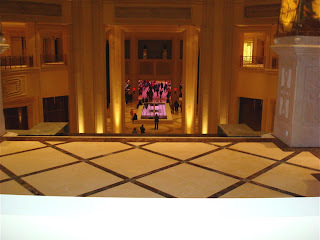 Right now, I just want to get up this dozen photos of the first night of the Palazzo. And I have to say, I am extremely impressed. 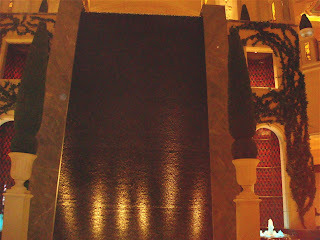 In particular, there is an extremely dramatic and truly beautiful 20-foot waterfall that bridges the two floors that connect the Venetian to the Palazzo. It is breathtaking. Sadly, I had assumed it would still be running by the time I left the red carpet thing and it was not. 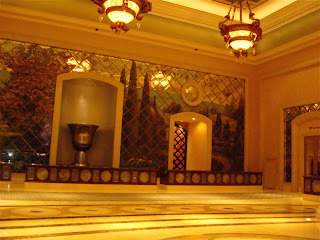 Below is the view towards the waterfall from the exit of the Palazzo casino. 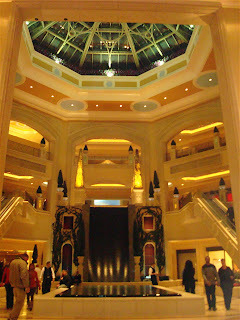 To orient you, the second floor of before you leads you directly into the Grand Canal Shoppes (and the Palazzo Shoppes will span around this area and then on the floor above the casino, when those stores are opened. As of now, all I saw open was a jewelry shop.) If you walk past and behind these escalators, you walk into the end of Restaurant Row, where Delmonaco Steakhouse and the B&B restaurant are. That was where I took the pix the other day. Note: Click on any pic to see it larger. Here's a closer shot of the waterfall. As I said, it's not on when I took this, which was after midnight. There was something quite mesmerizing about the enormity of it, the elegance of the pool (not attached) in front of it and the sheer audacity of the high ceiling. 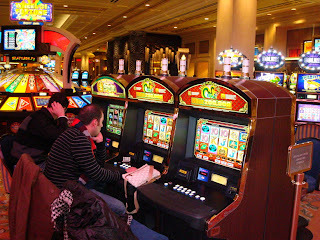 It really works, especially when coming from the Venetian. Here's what the same area looks like from right above this waterfall. You can see the entrance to the casino down below. By and large, the place is open for business. Here's what the front desk, front indoor atrium (with that big white statue) and the porte cochere look like. 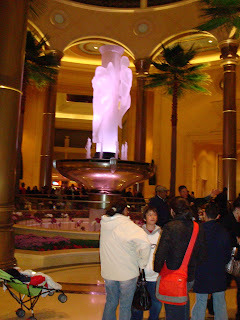 Behind the statue is the casino, to the left is the front desk, to the right is the valet entrance and the escalator down to the 40/40 Club. Take note of the wall of flowers behind the front desk in the inset to the right of inset with the big cup, as I am betting the media will be fed some info about how many live pink roses it takes each day to keep it looking as it does, a la Fleur de Lys at Mandalay Bay. 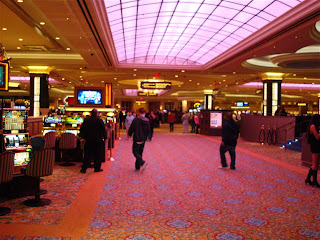 Here's some casino shots. 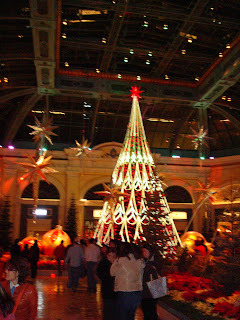 It felt larger than the Venetian's, but that may just be because it was all one big, wide-open room, as opposed to the Venetian's which I think feels like it bends around and is shaped like an L.
These pix were taken with my new Sony Cybershot digicam, and I'm still working out how to use it, so my apologies that some of the color balance is a bit off. The Palazzo will open tonight in some form or fashion -- there's a star-studded red-carpet event in honor of the opening of the 40/40 Club, the Jay-Z nightclub. And the casino and Palazzo valet will be open, too. Unclear whether any guests will be in the rooms, although earlier reports in various places said not until next weekend. I'm working on a piece about the Vegas celeb media, which explains why I'm going to go to the red carpet and do my thing. I'll snap pix and such, too, so stay tuned! I will not be going inside the club, however, as the story I'm working on is all about the paparazzi.